Stay tuned for the next few weeks, because there’s a ton of great news from our trip. We visited Bodegas Jose Pariente and Martinsancho in Rueda; Emilio Moro, Bodegas Mauro, Bodegas Conde and Protos in Ribera del Duero. We spent the last 4 days in Rioja visiting Bodegas Muga, La Rioja Alta, R. Lopez de Heredia, Bodegas Ramon Ayala e Hijos, Remelluri, Bodegas Contino and Vinedos Sierra Cantabria. I will never forget driving into the legendary estate of Bodegas Vega Sicilia. Established in 1864 when 18000 vine shoots from Bordeaux were planted here, they have been producing one of the world’s best and most mythical wines since 1915. No expense is spared in the pursuit of perfection, from the immaculate fermentation rooms, new French oak barrels which are replaced every year, down to the best available corks which are laboratory tested before using. Its 15000 kilo French oak fermentation vats are replaced every 5 years by a crew which is brought from Bordeaux. There is no resale market for the used vats so they are made into wooden boxes for the wines. The manicured grounds buzz with prosperity and quiet confidence. 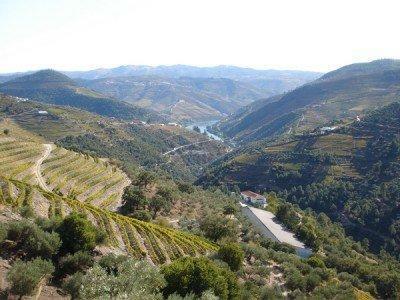 Vega’s vineyard contains 19 different soils, four grape varieties and plots with varied microclimates. They continue to innovate. A new facility soon to open will house 64 fermentation vats, allowing micro vinification with each vat mirroring the vineyard plot. 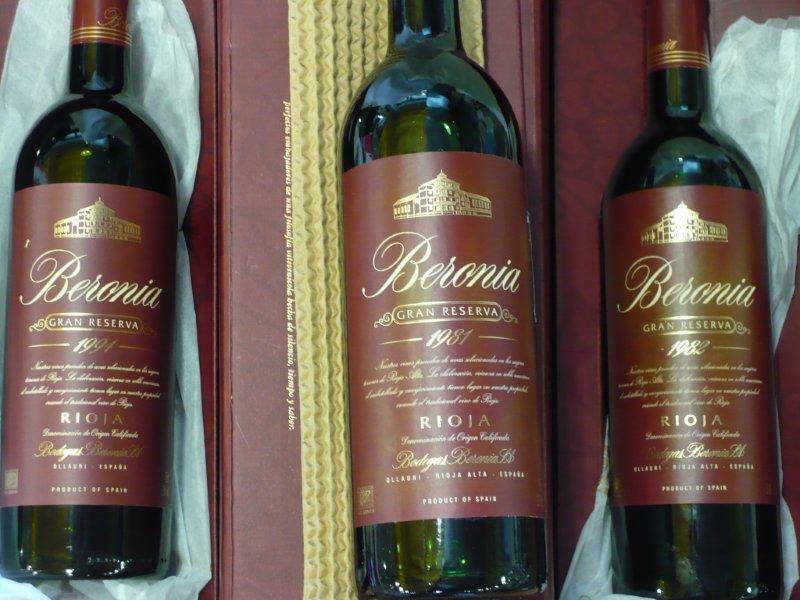 Three wines are made on Vega Sicilia’s estate in Ribera del Duero. Unico, only produced in great years, is typically made from 85% Tempranillo and 15% Cabernet Sauvignon. Unico is aged for 7 years in a combination of large oak vats and small French barrels. It can be cellared for up to 50 years. Valbuena is made each year from Tempranillo, Malbec and Merlot and can be cellared for 25 years. Reserva Especial NV is a blend of three vintages, produced in very limited quantities. Pulque La Lucha– Frieda Kahlo’s drink of choice! Framani brand Salametto Piccante chorizo: Brick-red in color and seasoned with pimenton de la Vera. Piquant and slightly smoky. About 12 inches long, 3/4 pound. Slice in 1/8 to 1/4 inch thick pieces. Zoe Meats Chorizo, Locally Made, No Nitrates: We sold out of our first order in 4 days and quickly reordered. A favorite of local chefs, Spanish Table customers and staff! Rich red texture, smoky, earthy, sweet and tangy. 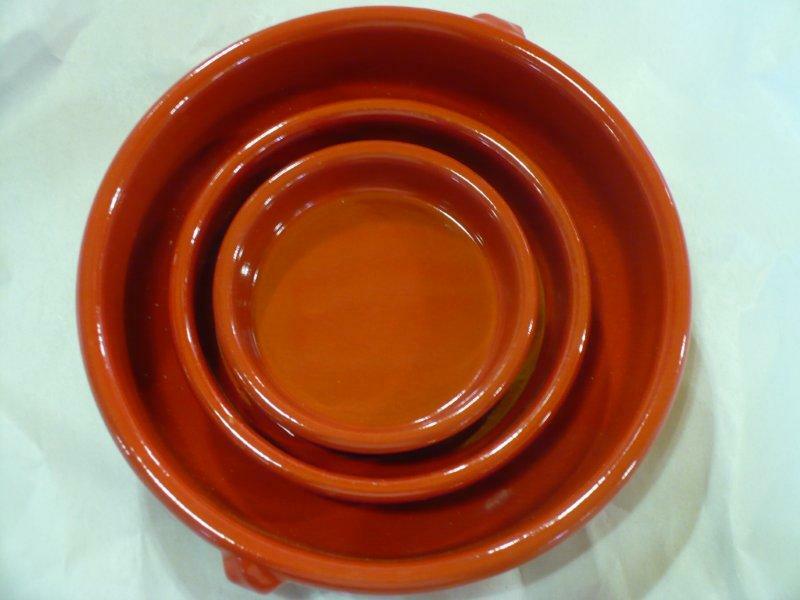 Perfect for tapas, paella and Bocadillos. Garrotxa Bauma is a special young Artisanal Garrotxa from Catalonia. This particular Garrotxa is exceptional with nuances of nuts and flowers and hints of thyme and rosemary. The texture is smooth and velvety with a long grassy finish. Vallee d’ Aspe is a wonderfully earthy raw milk sheep and cow’s milk cheese from the Pyrenees. This mature Basque region artisanal cheese has well balanced hay tones with a vibrant tanginess. 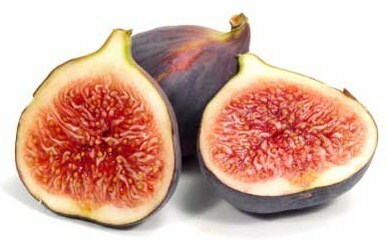 Matiz Fig cake ($7.99). A perfect complement with sheep milks cheese. Veigadarte, now $22.99/lb. The soft ripened tangy goat cheese from Leon. Last call for Padron Pepper plants! We’re waiting for the crop in Oregon to get ripe so that we can offer these tasty peppers. In the meantime, we’re harvesting padron peppers from our own plants, thanks to the warm June weather. We’ve still got a few plants left. $4.99 each. Stop in soon and we’ll give you some travel tips for Ribera del Duero and Rioja. Too often, days fade into memory like the Bainbridge ferry disappearing into fog. But there are also times that are simply unforgettable, such as our trip to Cordoba where we waited in line for hours to see a flamenco concert we’d stumbled upon by accident. It was a sensational show featuring Jose Merce, Jose Menese and Chocolate. The raw emotions I felt that night turned me into an aficionado of cante flamenco. The next morning’s visit to Bodegas Toro Albala was just as memorable. For starters, it was raining so hard that the wine maker had to drive us across the parking lot. Situated in a former electric plant since 1922, the tiny bodega is a hands-on operation which produces phenomenal sherries. Known for their dessert wines such as the Don PX Gran Reserva, they tasted us through their selection and I was blown away by the Fino Electrico. All of Toro Albala’s sherries are made from 100% Pedro Ximenez which has sufficient residual sugar so that fortification is unnecessary, in contrast to sherries produced in D.O. Jerez from the palomino grape. We’ve stocked the Don PX Gran Reserva for years but the rest were not available until now. This week we received 4 new sherries from Toro Albala. Fino Electrico ($11.99) Aromas of yeast meet pungent flavors of green olive and almonds. Bone dry, intense and great with salty jamon iberico. Amontillado Viejisimo ($29.99) This superb wine is an average of 30 years old. Great intensity of rich roasted nuts, dried fruit and leather with a seemingly endless finish. Oloroso Viejo ($17.99) From soleras and reserve stocks approaching a century in age, Oloroso Viejo displays a round, velvety texture with aromas of butterscotch. Essentially dry, it is also rich with notes of caramel and a dry persistent finish. Cream PX ($17.99) A blend of 10-year-old Oloroso which has been enriched with Don PX Gran Reserva. A complex and refined palate caressing wine, it melds flavors of dried fruit and raisins with balanced acidity. Cocina Mestiza salsas ($7.99/22 oz) Choose from Serrano, Chipotle or Habanera. Grab some chips and the appetizer is ready! Los Chileros New Mexican whole dried peppers, posole, chile powder, chicos y mas. We have an extensive selection of general and regional Mexican cookbooks, from $5.99 and up. 2007 Juan de Valdelana Rioja ($9.99) Made of 90% Tempranillo, 5% Graciano and 5% Viura, this young Rioja has plenty of verve in a traditional style. Valdelana has cherry aromas with flavors of black currant, boysenberry and a touch of spice. Well balanced with a persistent finish, this wine has enough acidity to balance out paella or grilled sausages. tannins. Smoky and meaty, serve this with a slab of grilled beef and chimichurri sauce. Isastegi Basque cider ($10.99) is back in stock at long last! We now have two distinctive ciders in stock. Isastegi is tart green apple flavored with a fresh finish. Bereziartua cider ($9.99) is loaded with fermented fruit. Try one of each and compare! Seven Fires, Grilling the Argentine Way by Francis Mallmann ($35.00) We ate at Mallmann’s 1884 Restaurant in Buenos Aires and it was an amazing experience. When South America’s most venerated chef published a cookbook, we had to stock it. Filled with mouth watering photos of everything from empanadas to assorted meats cooking over coals, if you like playing with fire, this is a must-have book. Clos Mogador extra virgin olive oil ($37.00): Produced in limited quantities by Rene Barbier’s Priorat estate, this is a cold extraction of arbequina, rojol and empeltre olives. Amazingly buttery with grassy notes, it is full flavored with a peppery finish. So good it’s hard to stop dipping bread into it. Access from the Pike Place Market: The stairs between the Market and Western Avenue will be closed for several months for construction and utility work. In the meantime, the other stairs are still open and the elevator is working. The market is installing signage to help folks find their way to Western Avenue. We hope to see you soon, and have a great week! Heat oil in a 12-inch or larger paella pan and cook the pasta until it turns golden. Remove pasta from pan, reserving the oil. Add garlic to pan and cook until soft. Add the seafood and saute for 1 minute on each side. Add the sherry and clam juice, then bring to a boil. Add the pasta and return to a boil. Reduce the heat and cook until the pasta has absorbed the liquid and is al dente, about 8-10 minutes. Add the half-and-half and parsley and cook until incorporated. This is even better with a bowl of alioli (garlic mayonnaise) served on the side. CHEESE CORNER Pata Cabra is a unique goat’s milk cheese is from Zaragoza, made in a brick shape. It is a washed rind cheese which is dense, smooth, creamy and mildly piquant. Faintly goaty, lightly lemony, fresh, earthy and full of character with sweet herbaceous overtones. Pairs perfectly with Albariño or Godello white wines. Celebrate Earth Day by planting a garden! A a new shipment of padron pepper seeds has arrived, just in time to start germinating. If you’ve never tasted a padron pepper, they are a small piquant green variety from Galicia. They grow well in the cool northwest and are best enjoyed when they are not over 3 inches long. The larger they are, the hotter they can be! 2007 Dom Martinho rose, Estremoz Portugal ($8.99) Rothschild-Lafite acquired this estate in 1992 and since has brought the vineyards back to immaculate condition, as only the Rothschilds can do. Dom Martinho rose is fresh and clean, with vibrant strawberry-raspberry flavors. With great acidity and hints of mineral, this is a perfect wine to kick off the rose season with! 2006 San Isidro Cepas del Zorro Dos Ano Monastrell, Bullas ($8.99) The region of Bullas is near Jumilla in Southwestern Spain but has a superior high and dry terroir. Produced from vines as old as 60 years and at 2100 feet elevation, this is a powerfully authentic wine. With fruity raspberry aromas on the nose, it has a brawny mid palate with mineral notes, hints of spice and plenty of tannic structure. Aged two years in the bottle but without any time in barrel, Cepas del Zorro is rustic and meaty. Great with barbecued ribs! 2007 Valdemar Tempranillo Rioja ($9.99) New on the market and bursting with vivid boysenberry fruit, Valdemar Tempranillo is a must-try for those looking for a great paella wine. With just the right amount of acidity and moderate tannins, it deftly balances any rich dish or roasted meat. This is a red that I’ll be serving all year round. 2007 Martina Prieto Pariente Verdejo, Rueda ($15.99) Martina’s mother, Victoria, is said to produce the best white wine in Spain under their famous estate name, Jose Pariente. Martina, an enology student, is making her own wine with her mother using extreme methods such as harvesting grapes at night to lock in the fresh aromatics. Martina Prieto sings with flavors of creamy grapefruit, ripe pineapple, lime, flint, and a hint of cinnamon. Vibrant with acidity, it is a great pairing with octopus ceviche. Have a great week, and we hope to see you at the shop.